Check Seven Little Words Daily Puzzle Answers with Clue words. 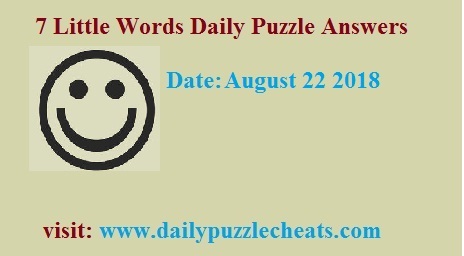 Solved solutions of August 22nd 2018 to 7 Little words are given below. For more updates join us on the facebook page.